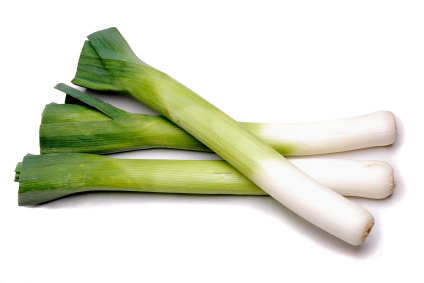 Leeks are a hardy vegetable that grow best in cool weather. Start seeds indoors 12 weeks before the frost date, or purchase transplants. Harden off and transplant outside 6 weeks before the frost date. 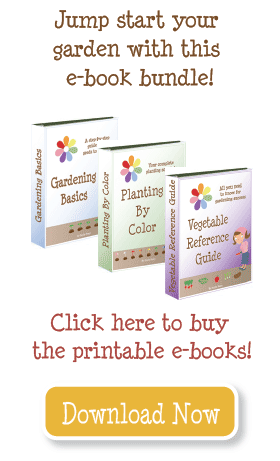 In raised garden beds leeks require at least 12″ of soil. Before planting, take out the soil until there is 6″ on the bottom and set it aside. Plant leeks 2-3″ deep in the soil, covering the stems up to the leaves. As they grow, gradually replace the soil–keep covering the stem so that only the leaves are exposed. This will blanch the stem, keeping it tender and edible. Leeks can be planted in the fall only in frost-free areas. Plant when daytime temperatures are maximum 80°. Leeks grow best in a rich soil; amend with lots of compost and fertilizer (chemical or organic) at planting and twice during the season. Fertilizer: 16-16-8 at planting, 21-0-0 twice during the season, about every 4 weeks. Harvest when the stalks are 1″ diameter. Is it to late it plant leeks now? I have not seen a lot of lists with leeks on them, but they are in the same family as onions. I would avoid the same things you would if you were planting onions. Love your site!! It has been extremely helpful in getting organized this year. I was wondering if there is a plant leeks should NOT be planted near. Thanks!